The traditional notion in this industry is to force you to pick a plan out of a book. At Sunrise Housing, we've flipped that tradition on its head. Every single home we build is one-of-a-kind. That's because every homeowner is unique, and everyone has different needs. We have CAD designers at both of our locations that will draw live with you, and with advanced 3D rendering, can show you what your home will look like before it's even built. This is a massive visual tool that you won't get anywhere else. No down payment required to design your dream home with us. We want you to be completely happy with your house design before you buy. 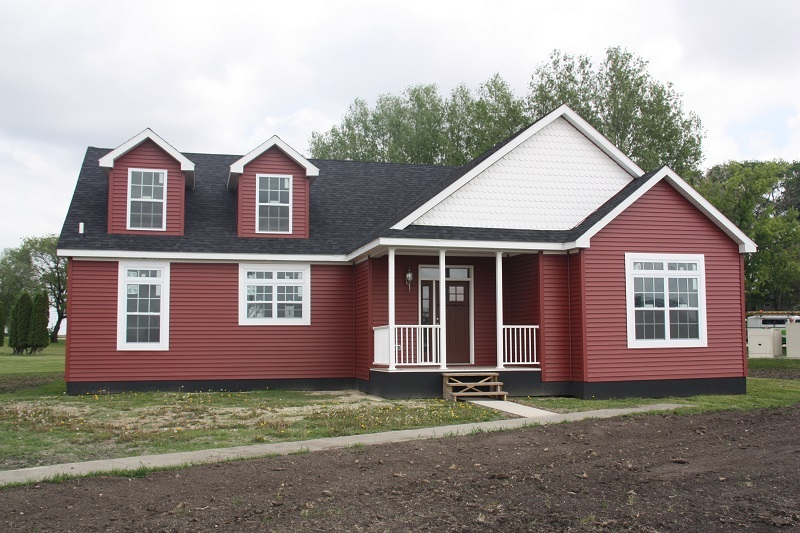 We are the number one modular home builder in Iowa, and for good reason. We offer you services and customization unrivaled by our competitors. So come on in, you can stop by anytime to tour our homes, or make an appointment today to sit down and start designing your own custom floor plan. We get this question a lot, and the answer is quite simple. A modular home typically goes on a basement or a crawlspace, whereas a manufactured home goes on piers. Now there are some other structural differences, but if you can answer the question, "Do you want a basement or not?" you will be well on your way to deciding which home is best for you. Between our two locations, Iowa Falls and Des Moines, we have 18 models for you to peruse. Display models are examples of what's possible when you work with us. They are great visual tools to help you get a feel for what you're actually gonna get. We often take a kitchen from here and combine it with the master bath over there and then the overall layout from this model to create a completely custom plan. However, if you fall in love with one of our display models, we can build you one exactly like it. Check them out! We show floor plans on this website to give you ideas, but we don't want to give you the impression that this is all that is possible. Every house we build is totally custom, and every floor plan is unique. The floor plans you see here are just ideas. Maybe they're starting points, that we'll stretch, shrink, or tweak. Or maybe they're just inspiration. Check them out! A quick look at what we're doing, where we've been, and what's to come. Try checking out landwatch.com. It is a great resource for finding land in your area based on different specs like lot size, price, etc. Check out our financing page with a bunch of recommended banks and helpful tips that will aid you in your search for a bank.